Updating a timeless classic.Our Wellington boots are a must have choice this winter. Style up with your fave furry hood coats or parka jackets for a cool winter look. PYRAMID wellies - Textile lining, calf length. Shaft height: 9"/23cm. Heel height: 1.5"/4cm. Updating a timeless classic. Our Wellington boots are a must have choice this winter. Style up with your fave furry hood coats or parka jackets for a cool winter look. 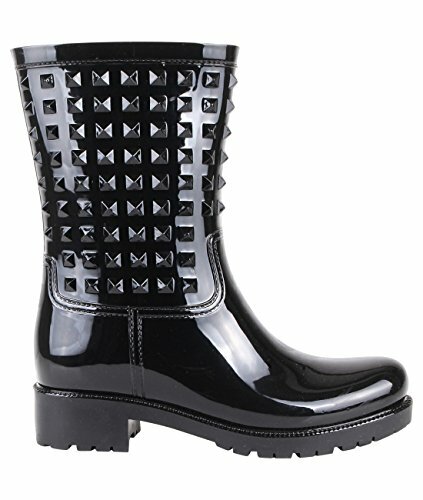 PYRAMID wellies - patent rubber uppers, round toe, pull on styling, low rubber heel, textile lining, studded uppers. Shaft height: 9"/23cm. Heel height: 1.5"/4cm. FUR SOCK wellies (4239) - patent rubber uppers, round toe, pull on styling, low rubber heel, optional/removable warm fleece sock included, buckle strap. Shaft height: 12.2"/31cm. Heel height: 1"/2.5cm.